There are a lot of traditions and arrangements for Christmas like the setting up of the Holy Birth, the Christmas Tree or the Holy Star but also Father Christmas, “Santos Inocentes” (28th of December), New Year or “Dia de Reis” (6th of January). In general, it’s very 'tastefully' festive. The lights are great, nice carols, Christmas music piped in to the street and everyone in a nice festive spirit. 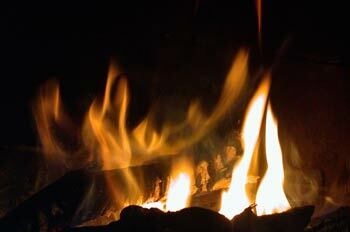 In some areas in Galicia, on Christmas Eve a big log is thrown into the fire and kept burning till the middle. The remaining part is kept for the stormy days to burn it again so that the lightening and thunder can be burnt with it. In other areas the log is burnt till the end and it’s a moment of family gathering round the fireplace singing Christmas carols. It’s a bush with peculiar sharp leaves and little red berries which blossom in Autumn and keep the berries for a few months during the winter time. 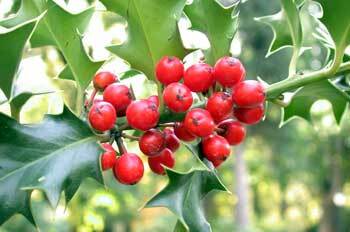 It’s used as decoration and it’s closely related to Christmas from very ancient times. This is the most traditional wide world known dessert which is associated to the Christian tradition. 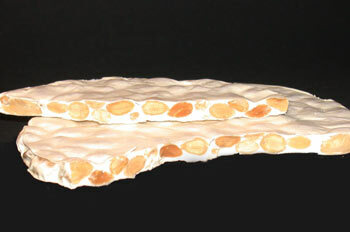 The ingredients are almond or hazelnut, honey, egg white and sugar. Till the middle of the 20th century it was handmade. Although it is elabored now it still keeps the romantic flavouring of the traditional products which are present on the Christmas table. To welcome the new year, the tradition is eating one grape for each of the twelve chimes of the bells. It is quite a sight to see people with their mouths stuffed full of twelve grapes trying not to laugh! And then they start to go out. A few at 1 o'clock, and then a few more and they just keep going all night. Most bars closed around 9 or 10 in the morning. We have the 'Reyes Magos' on the night of the 5th January (twelfth night).. There are processions in the streets with children on floats throwing sweets to everyone. The Three Wise Men come after midnight and bring lots of presents for children and grown-ups. We also have a special pastry called a Roscón de Reyes which has a hidden gift in it for the children.